We take our data protection responsibilities seriously. We will not disclose information about our customers to third parties except where it is a necessary part of providing a service to you - e.g. arranging for a product to be sent to you or using a service like Mailchimp to send you E-newsletters and we only work with companies who are fully GDPR compliant. We will delete your data if you ask us to. The Wildlife Trusts are a movement of more than 800,000 members, 40,000 volunteers, 2,000 staff and 600 trustees, from a wide range of backgrounds and all walks of life. For more than a century, we have been saving, protecting and standing up for wildlife and wild places, increasing people’s awareness and understanding of the natural world, and deepening people’s relationship with it. • The Wildlife Trust for Birmingham and the Black Country. We are a registered charity in England and Wales, and our registered charity number is 513615. • ‘Data controller’: this is us, the The Wildlife Trust for Birmingham and the Black Country. With your permission, we determine why and how your personal data is used (as outlined in this policy). We also collect your personal data so that we can send you information about our work that we feel will be of interest to you. This includes your membership welcome pack, membership magazine, fundraising appeals, events, campaigning opportunities, membership, services, products, newsletter requests, feedback, competitions and other activities, as well as information about other carefully selected organisations that we work in partnership with (such as [Vine House Farm’s bird seed catalogue]). From time to time, we may also use your personal data to ask for your opinion about our work. If you are a ‘joint’ or a ‘family’ member of our Wildlife Trust, we will address communications to the main member(s) only. If you wish to update this at any point, please let us know. Your personal data also helps us to get to know you better and to develop a ‘profile’ of you on our secure supporter database. This ‘profile’ enables us to send you the information listed above in a timely and relevant way, to suit you. For example, activities or events you may have attended and future similar events you may like to know about. Likewise, keeping a record of your wildlife interests that you may tell us about in one of our Membership Surveys, helps us to send you relevant project updates. Most of the time, we collect this data from you directly. Sometimes this is in person; other times, it is over the telephone, in writing or through an email. Occasionally we obtain information, such as your telephone number or other contact details, from external sources, for example, if you sign up to be a member through a third party. (only where you have given permission for such information to be shared). Sometimes we will collect other information about you such as your date of birth and gender. For example, we may collect date of birth of children so that we can ensure any information sent is age appropriate. When we do so, we will be very clear as to why we are collecting such information, and we will only do so with your specific consent and permission. Once again, most of the time we collect this data from you directly. We may also collect demographic and consumption data generated through geodemographic tools (such as CACI Acorn), as well as information related to your wealth. This may include information from public registers and other publicly available sources such as Companies House, newspapers and magazines. We will always ask for your consent prior to any of this activity. In line with data protection law, we will not collect, store or process your personal details if you are under 16 years of age; unless we have the express permission from your parent or guardian to do so. For further information, please see our Safeguarding policy below. All electronic The Wildlife Trust for Birmingham and the Black Country forms that request financial data will use the Secure Sockets Layer (SSL) protocol to encrypt the data between your browser and our servers. If you use a credit card to donate, purchase a membership or purchase something online we will pass your credit card details securely to our payment provider. Other payment methods are handled in a similar manner. The Wildlife Trust for Birmingham and the Black Country complies with the payment card industry data security standard (PCI-DSS) published by the PCI Security Standards Council, and will never store card details. Some of our premises have CCTV and you may be recorded when you visit them. CCTV is there to help provide security and to protect both you and The Wildlife Trust for Birmingham and the Black Country. CCTV will only be viewed when necessary (e.g. to detect or prevent crime) and footage is only stored temporarily. Unless it is flagged for review CCTV will be recorded over. The Wildlife Trust for Birmingham and the Black Country complies with the Information Commissioner’s Office CCTV Code of Practice, and we put up notices, so you know when CCTV is in use. 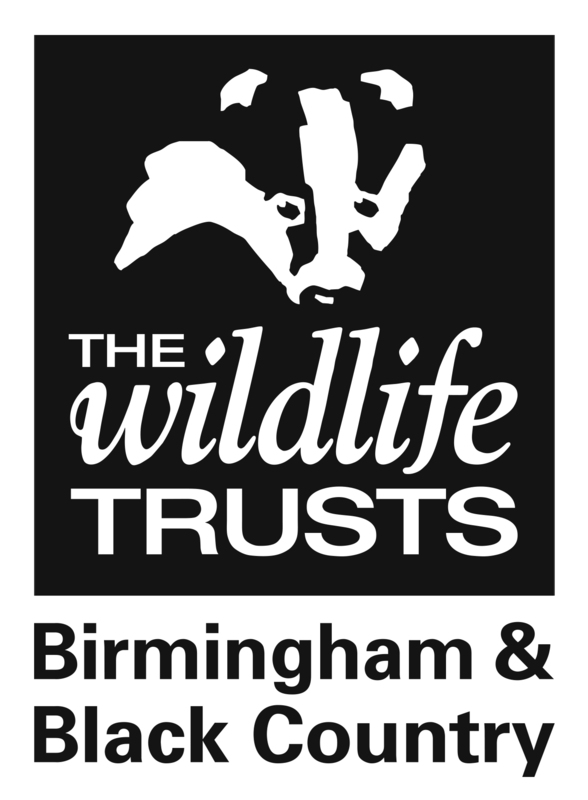 The Wildlife Trust for Birmingham and the Black Country want to exceed your expectation in everything we do. However, we know that there may be times when we do not meet our own high standards. When this happens, we want to hear about it, in order to deal with the situation as quickly as possible and put measures in place to stop it happening again. Overall responsibility for this policy and its implementation lies with Emma Thompson, Fundraising and Development Manager. For further information on how to make a complaint, please see our complaints policy below.